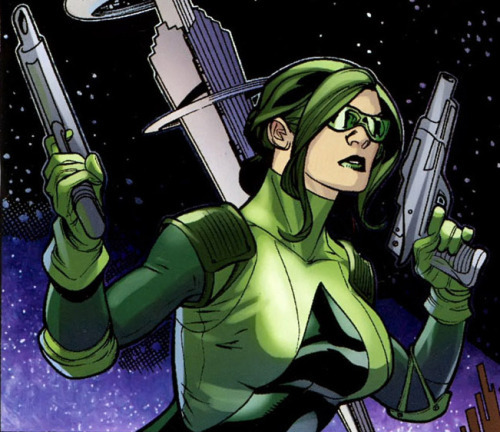 Abigail Brand is a character that was introduced by Joss Whedon on his run of Astonishing X-Men. Much of her origins remain a complete mystery. We actually do not know her real name "Brand" is a nick name referencing her mutant power. Abigail Brand runs the SHIELD like Agency SWORD which is basically SHIELD in outer space. It deals specifically with the threats posed by aliens. Abigail Brand is uniquely qualified to handle this role in that she is half alien (Exact species unknown) and half human mutant. Abigail is also an expert in alien technology and alien linguistics. 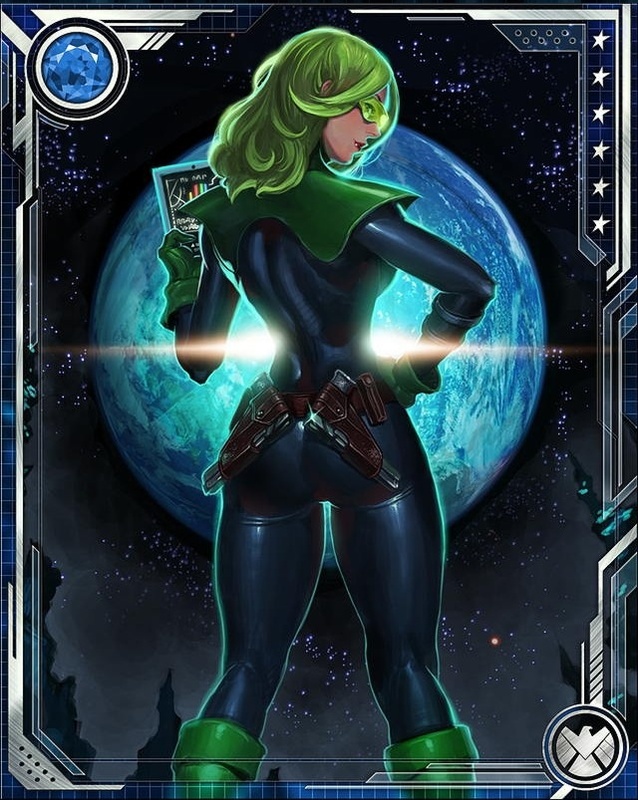 She is introduced in a major crisis of Earth. A powerful alien named Ord who wishes to destroy Earth to eliminate a threat of a prophesied Earth mutant to destroy Breakworld (Later revealed to be Colossus). Brand goes to extraordinary lengths to deal with Ord and avoid interplanetary war. In the end she agrees to let Ord to use a mutant cure on Earth's population with the intent of eliminating the mutant condition. The step is not gone unnoticed and Brand faces a hearing by a SHIELD board that controls SWORD. Fury argues for her removal however after explaining herself the board agrees to keep her in charge. 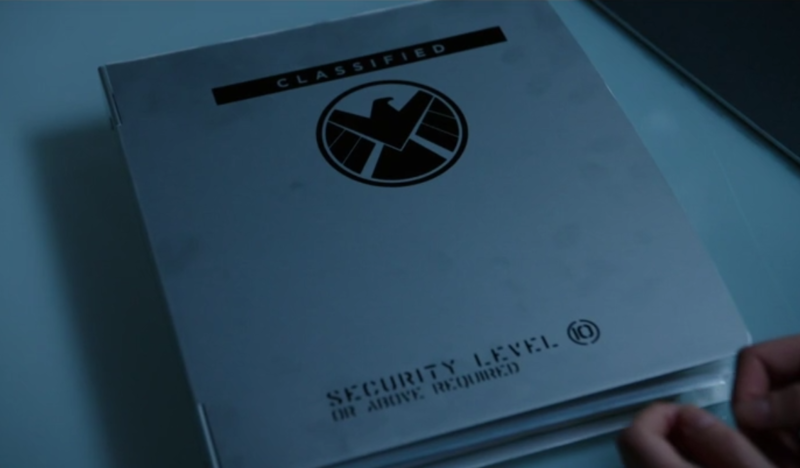 Later, Fury is replaced by Maria Hill. Despite opposing her choices with Ord, Brand maintains deep respect for Fury. 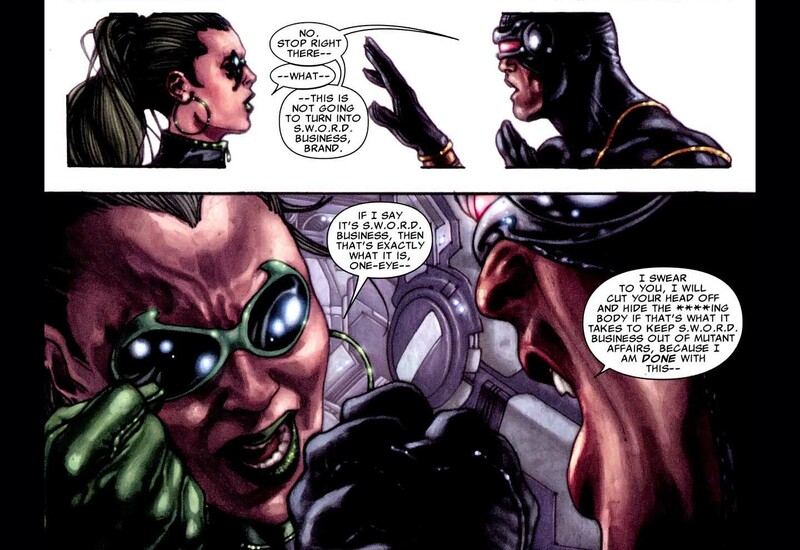 She shows only disdain for Maria Hill. Brand masterminds the plan to stop Ord and his planet destroying weapon. She works with the X-Men to destroy the weapon. On the mission she is separated with the X-Man Beast. Brand tells Beast that she is strongly sexually attracted to him. This takes the X-Man aback as he looks like a "Blue, hairy monster", she tells Beast that her father was blue and hairy too. Beast stays on-board the SWORD station known as Peak as an aid to Brand. She herself is a mutant or half mutant and has the power of creating intense fire out of her hands. Sometimes the fire is red and sometimes blue nothing has been explained as to why this is. Her name Brand is a reference to this fire like power. Brand's father was a green furred alien. From his side she gained the ability to talk in various (every?) alien language and her green hair. 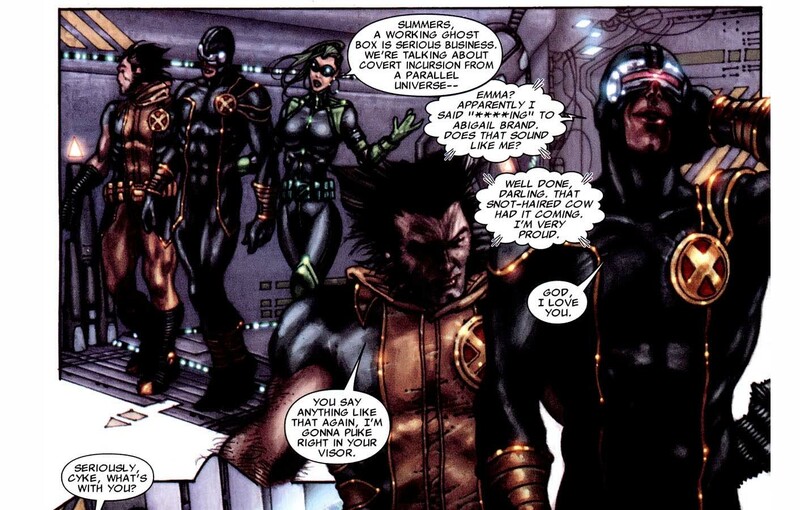 Brand is naturally attracted to fury people and was/is the girl friend of the former X-man Beast. This relationship created some amusing panels that I will share below.